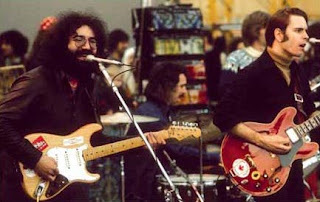 Speaking from experience, it's healthy to step away from a solid diet of Grateful Dead music once in a while. I did it for a multi-year period before starting up this blog, and it was a very good thing. Not only was it refreshing to dive into "other" music with all the daily listening time I had been devoting to the Dead, but in coming back years later, their music opened up like a flower revealing subtle hues I missed in the past. The music spoke with more fine detail and more wide reaching scope than before. I didn’t plan to come back to the Dead when I did, much as I hadn’t planned to step away years earlier. All in all I recommend taking a break from time to time. In recent weeks I’ve stepped away again. The August 24, 1972 review marked only the first time I had returned to listening to the Dead since early September. And excluding that one show, October 2009 has been a whirlwind adventure into other music; the Grateful Dead receiving nary a thought along the way. It’s okay. I’m not here to tell you I’m hanging up a closed sign on the blog or anything like that. Not even “gone fishing,” though it may seem a bit like that recently. I’m comfortable that the archives here can keep readers interest (Gosh, I wonder how many folks have read this site cover to cover?) even while I slip away to dabble in other waters. Regardless, I’m actually well into the research portion (listening) for the guide’s next show review. I won’t let things completely die on the vine. And I did feel like checking in for a moment even if just to pass along a few tidbits. Somehow,through no doing of my own, the GDLG twitter account password became corrupted last week. If you follow, you might have noticed that @deadlistening has gone completely dark of late. Amazingly frustrating. One can imagine how difficult it is to get any direct support help from such a large “free” service. I really don’t want to have to bail on the account (with its more than 1000 followers) and start over. Hopefully I’ll get lucky soon and find help working through the issues that are somehow preventing my even managing to receive the password reset e-mail via twitter. If you know anyone over at Twitter, I’d appreciate being put in contact. I want my account back. On a lighter note: While enjoying the next show on the GDLG reviewing bench yesterday while driving home with my 11-year-old, he chimed in from the back seat as the band segued into Truckin’. “This has got to be the Grateful Dead.” It wasn’t because he recognized the familiar tune. He said he knew it because they have a really distinctive sound that let’s you know it’s them every time. 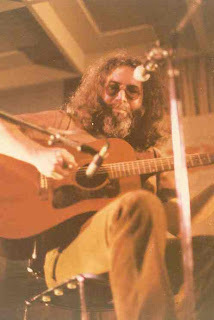 I myself had just been marveling at how absolutely archetypical Jerry’s guitar tone was sounding, and we spoke a bit about that distinctive rich, round twang that embodied Garcia’s tone for so many years. Once again I find myself overwhelmed by the way the Grateful Dead sounded so completely at the top of their game in 1972. In a year that saw a more subtle evolution than its predecessor, there is no doubt that 1972 demonstrated an amazing metamorphosis bridging 1971 to 1973. When one considers ’71 against ’73 they stand nearly as distinct as day to night. And while it is clear that there were many miles between these two years, 1972 showcases an amazing consistency throughout. End to end it’s a constant roller coaster ride through both the Americana Rock and wild psychedelic adventurism that were both completely the Grateful Dead. Tucked into the summer of ’72 are the August shows. Historically speaking, August contains one of the most famously heralded shows of all time (08/27/72 Veneta, OR) and what was long one of the most completely missing dates in all collections (08/25/72 Berkeley, CA). Woven into that soap opera are a bunch of other shows that can sometimes bleed into each other. And while the 08/27 show is a classic (someday I’ll review it, I’m sure), when I consider you coming over to my house to explore August 1972, my hand is going to grab the show from 08/24/72 every time. You don’t need to hang around Grateful Dead tapes very long before you realize very little convincing is needed when it comes to listening to a 1972 show. So, allow me to highlight just a few obviously key elements and then step over to the stereo to turn the volume up too loud for us to talk to each other and hit the play button. In the ever flip-flopping of shows from Dark Star to Other One in these early-mid ‘70’s years, this August 24, 1972 show flops to Dark Star, and also manages to capture a Bird Song, China>Rider, Uncle John’s Band, and the obligatory flip-flop defying Playin’ In The Band. It makes for ideal pastures as far as I’m concerned. And in listening to the more exploratory expanses of this fine show I am continually brought to the state of mind where my eyes can no longer perceive the physical space around me. The vivid imagery which floods my vision while my eyes are closed tight suffuses everything continually. 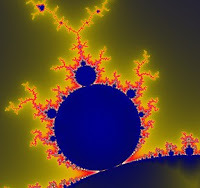 And in that vision where light burns around shadows and perspective swims in a sea of joy, I am repeatedly exposed to a musical journey which seems to travel through a landscape constructed of a Mandelbrot set fractal. Whether it’s within the Playin’ jam, or the amazing Dark Star, or even the insanely tight weave of the final Uncle John’s Band segment, I am forever feeling things move through either the vast open empty spaces of the fractal pattern, or cascading wildly through the forever repeating and coiling tendrils hidden deep in the details. These extremes are synched to the beautiful dynamics that the band is utilizing – something not always ascribed to 1972. Here on 8/24 the Dead are all at once fully at ease and wickedly electrified at the same time – something that manages to describe their essence through this period very well. And yet this show provides ample breathing room which only heightens the entire musical experience. So let this show play for you and enjoy every moment. In particular be mindful of the way this Playin’ works the extremes. Relish the amazing Dark Star as it catches the quintessential 1972 groove, then flies into complete oblivion, only to return to the groove before drifting into a near complete stillness where it’s Phil who ushers in the luscious Morning Dew which follows. And then stick around for the Uncle John’s Band. It’s a stand out fabulous version which is elevated beyond description as Phil rapid-fires notes through the final crescendo section – a jaw dropping finale to another fabulous show from 1972. Now let’s hit the volume knob and get this started.